Cover art by Barry Windsor-Smith. 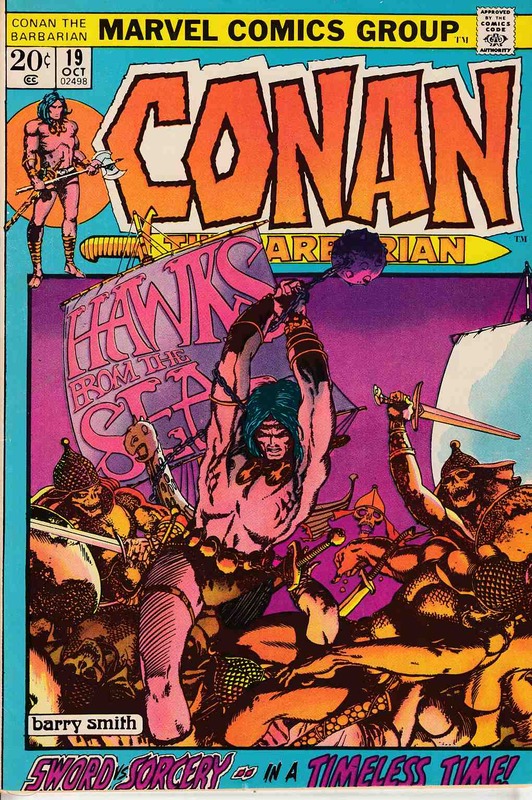 Hawks From the Sea, script by Roy Thomas, pencils by Barry Windsor-Smith, inks (pages 1-9) by Dan Adkins. (Pages 10-20 were reproduced directly from the pencils). Ship, City of Makkalet; Conan works for Turanian military and lays seige to Makkalet; Legend of the Living Tarim is told; Conan makes enemy of Balthaz; Fafnir is wounded by flaming arrow.